Remember that In 2013, we brought to you the news of an 8-year-old South African school boy who married a 61 year old South African woman. He later spoke about his new life with the woman. 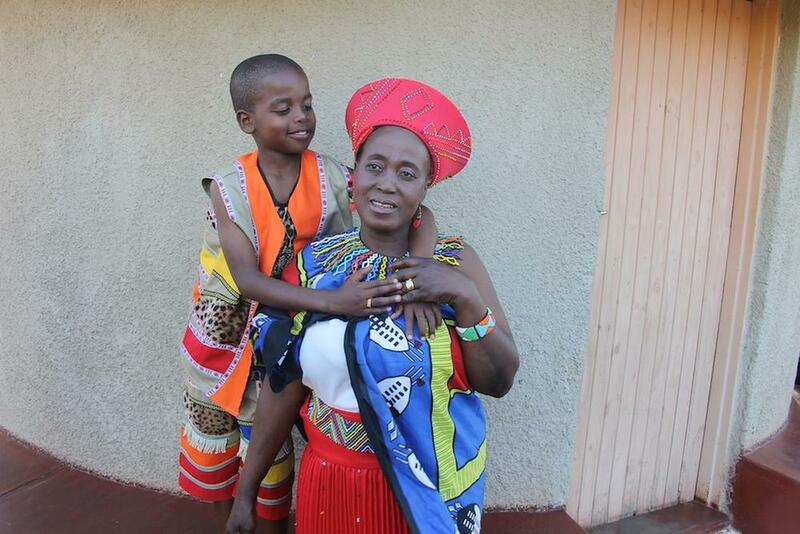 The Child-groom– now 9 years old – Saneie Masilela is the world’s youngest groom for the second time after remarrying the 62-year-old woman he married last year. Although other villagers and onlookers describe the nuptials as “sickening”, the young groom dressed in a silver tuxedo says he did it again to make the marriage “official”. No minding the 53-year-age gap, they repeated their vows a year later in front of 100 guests. His bride Helen Shabangu is a mother of 5, with children aged between 28 and 38 years old. Both families claim the wedding is a simply “ritual” after the young school boy was told by his dead ancestors to wed last year. The boy however hopes he would have a proper wedding to a woman his age in the future. “I told my mother that I wanted to get married because I really did want to. I’m happy that I married Helen – but I will go to school and study hard. Helen also told reporters that she is excited that Saneie chose her. “One day Sanele would grow normally and have family of his own and get married one day, all this ceremony is for making ancestors happy. We are playing.” she said. After the wedding last year people keep asking them question like will they live together, sleep together, have babies but I keep telling them that after the wedding everything went back to normal – nothing changed. Sanele moved to Venda not long after the wedding because he wanted to learn a new language, but they are very close. Our families are very close. It was nice celebrate with a wedding once more, it was after all a calling from the ancestors.